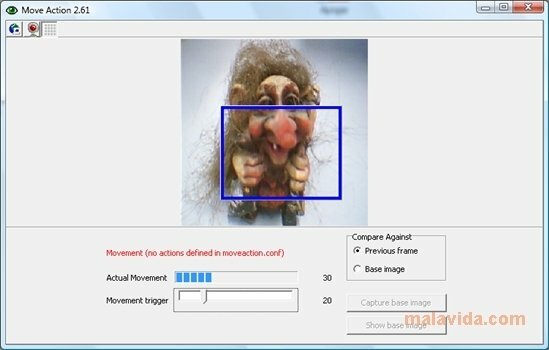 Move Action is a free video surveillance tool by means of a webcam that is capable of protecting your computer and your house. It is an open source application that allows you to detect anomalies by means of the images captured by a webcam. It's very easy to use and doesn't require real-time video recording. The application checks a sequence of images every certain amount of time and looks for problems. - Block the computer and ask for a password to reactivate. - Save JPEG images of the possible thieves on your hard drive. - Play a sound file, as an alarm or warning. The main obstacle of this application is that it has to be configured manually by means of the configuration files, a somewhat complex task, even though with some computing knowledge you shouldn't have any problems. 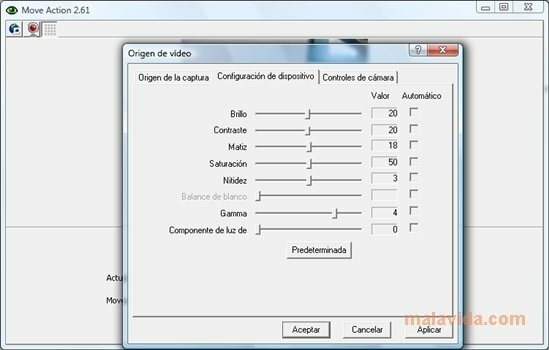 Move Action is a very useful and efficient application to keep all your computers safe.